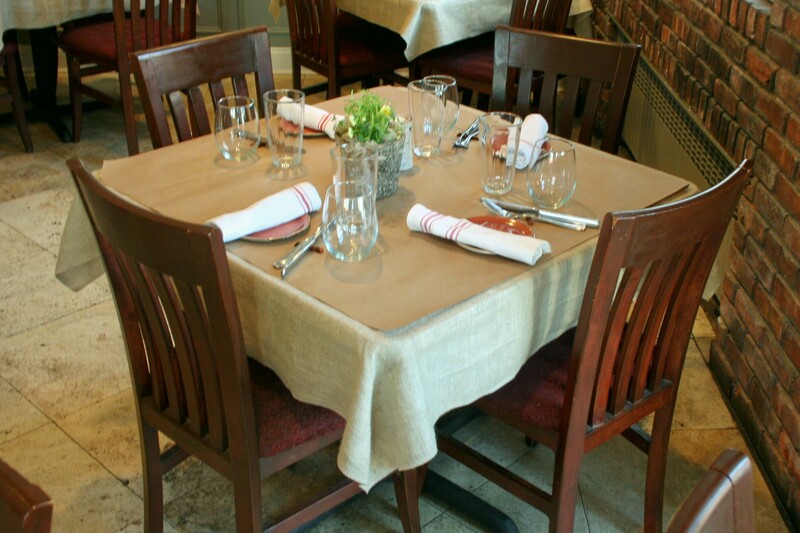 A Place Is Waiting For You At Terre a Terre. Since 1970 people in 192 countries around the world have celebrated Earth Day every year in April. In the US everyone gets their eco-groove on for about 3 hours until the next headline featuring a Kardashian pops. But what if the principles of Earth Day were woven into the very fabric of a business, and what if that business appealed to upscale suburbanites, and what if I told you that it was called Terre a Terre, a culinary venture dedicated to sustaining a vibrant local food system. Repurposed and upcycled items are found throughout the space. Locally sourced food is on every plate. And the passion, you can feel the passion for everything done here from every member of the team. And that what sets this place apart from the crowd. 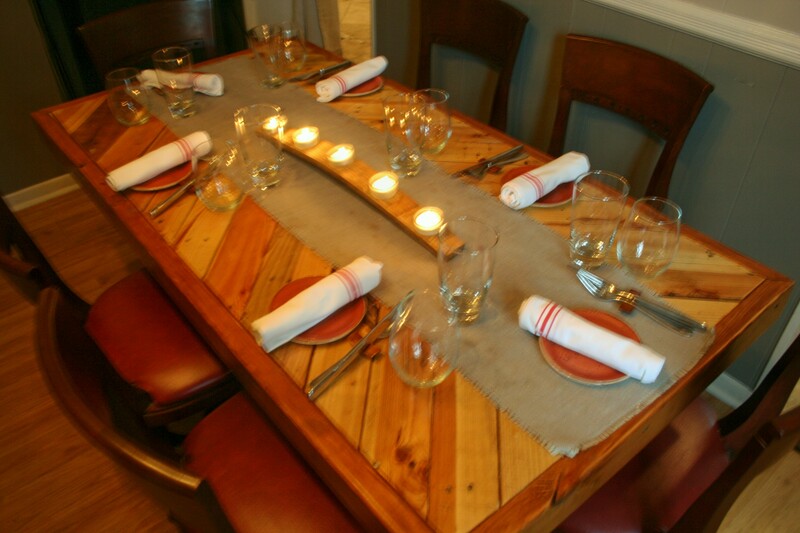 Upcycled shipping crates were used to create the chef’s table. The entry hall of Terre a Terre is home to the host station as well as the market shelves offering chef’s favorite locally sourced items to take home. Salt harvested in the waters off of Long Island, sauces and marinades, and locally produced pasta made with seasonal ingredients all tell the story that much thought and research has gone into the every decision here. On the way to the main dining room take note of the chef’s table, unless of course that is your destination. Made from upcycled shipping pallets, many a guest have looked underneath and from side to side examining its craftmanship. Passing into the main dining room look up in the doorway. Whittled walking sticks serve as curtain rods. Made by hand by en elderly gentlemen, they recall a bygone era of long walks, and craftmanship, and using material at hand; they symbolize Villani’s vision perfectly. Lighting fixtures use old mason jars and chopstick rests hold flatware off the table. Innovation and familiarity work together here. Fruit crates! Take a look at the long wall in the dining room. 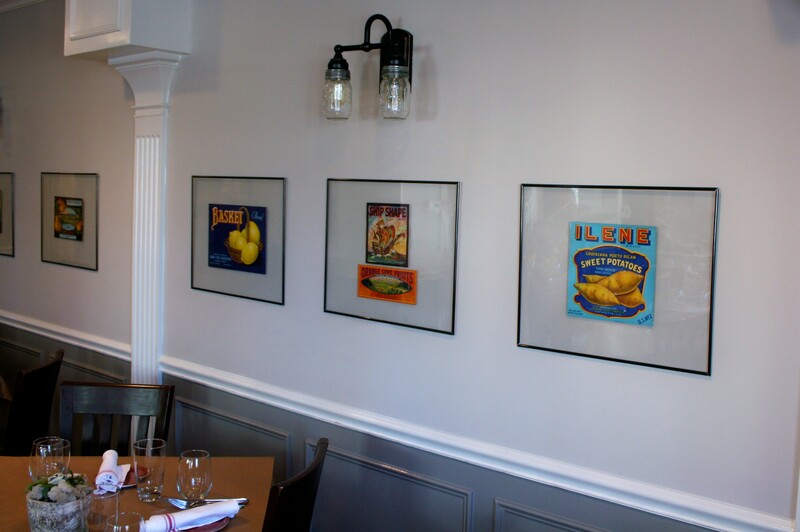 Original artwork from produce crates was collected and framed to celebrate the farm to table ideal. The menus are presented on customer crafted boards that lend an air of nostalgia. A seriously discussion of the food will have to wait until a future date. What I can share at this time is the work that goes into finding the perfect ingredients and working with the farmers to make sure every guest gets the best possible meal every time. Picking up a phone and asking for Jersey this and local that is easy, driving across the state to meet farmers in person is an entirely different ballgame. The result is passion, every farmer and supplier to Terre a Terre winds up having the same passion for their product as Todd and his team. Wednesday – Friday 12:00 – 2:30 p.m. and 5:30 – 10:00 p.m.
Saturday 5:30 – 10:00 p.m.
Sunday Brunch: Served 11 – 2:30 p.m.
Sunday Supper Served from 4-8 p.m.
BYOB and proudly serving wines from Unionville Vineyards based in Hunterdon County NJ. John Lee is Black Tie and Flip Flops’ Raconteur-In-Chief: the World of food is his playground ~ the whole world! Having a Navy Dad gave John the passion to discover the world. Whether in one of Mr. Boeing’s flying machines, as an armchair traveler with a great book, or a plate beaming with the exotic flavors and fragrances, his day is all about discovering the world and sharing the stories with everyone he meets, and playing with his rescue dogs Ricardo and Rosalita.